DRA818U is a type of compact wireless voice transceiver module based on RFIC RDA1846 and works in UHF band. 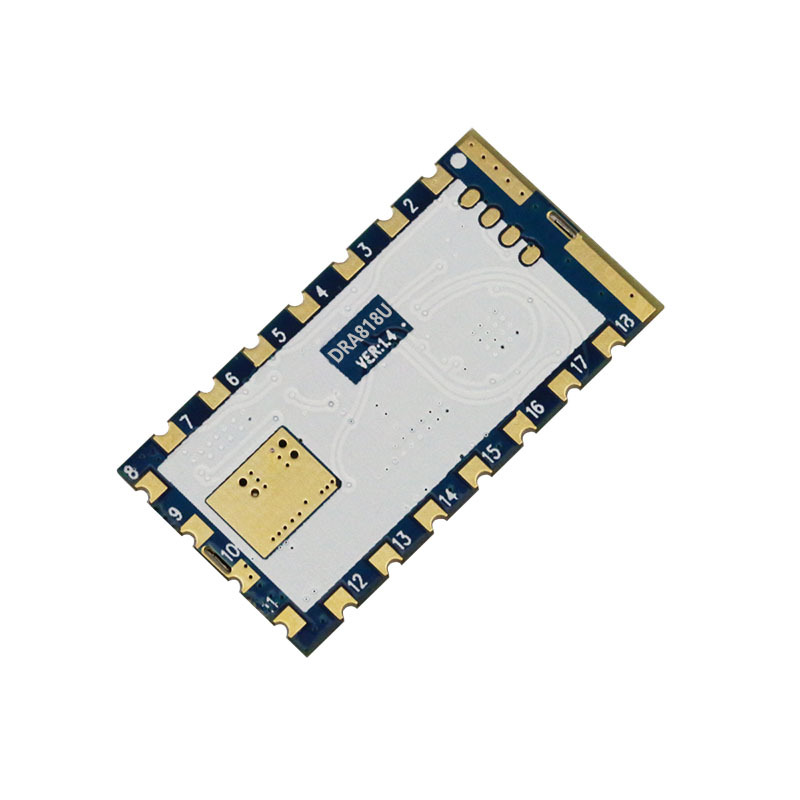 It integrates high speed microcontroller, high performance wireless transceiver IC, high power PA, audio process and squelching circuits. It provides standard UART interface which users can easily configure appropriate parameters for different applications. Users can easily construct a walkie-talkie system by connecting microphone, audio PA and speaker. Some parameters of DRA818U modules can be changed by following the commands in this section, which provide flexibility for designers to optimize related parameters to achieve the best performance. 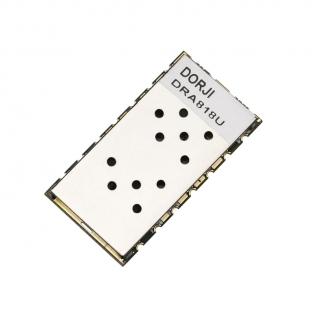 DRA818U modules use standard UART interface to communicate with microcontrollers or other hosts. The default data format is: 8 data bits, 1 stop bit, no parity and 9600 kbps data rate. DRA818U is the successive version of DRA808M which is based on RDA1845. Comparing to DRA808M, CDCSS and audio control AT command are added, which provides more flexibility for the users who need to process audio signal more precisely. DRA818V is the VHF band version of DRA818U.